Rüsselsheim/Geneva. The Opel/Vauxhall stand at the 87th Geneva Motor Show (March 7‑19) was opened this morning by Dr. Karl-Thomas Neumann. 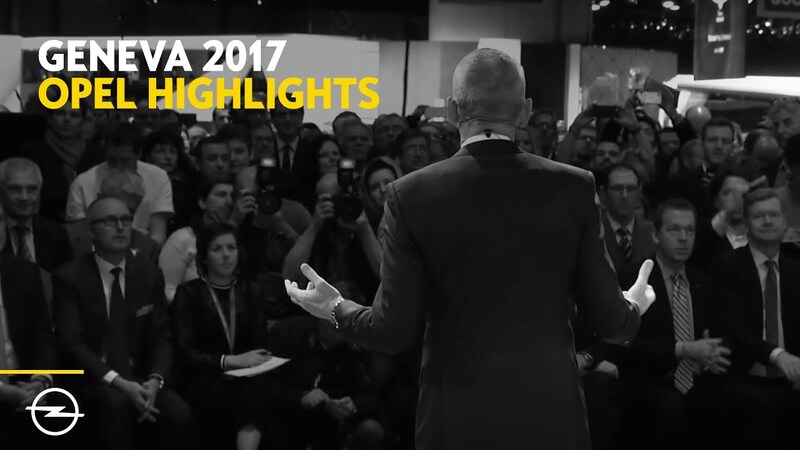 In front of an audience of around 400 international journalists, the Opel Group CEO spoke about the alliance with the PSA Group announced in Paris the day before. Later he presented the Opel Crossland X crossover that has already been developed together with PSA. Finally there was the world premiere of the second-generation Insignia. 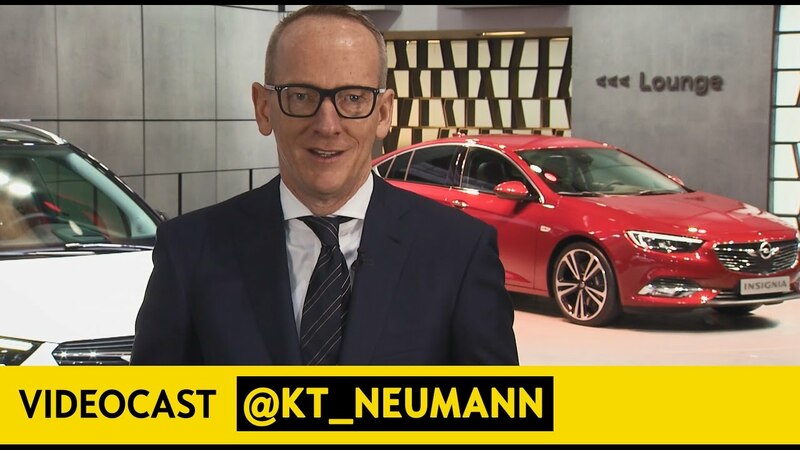 Dr. Neumann revealed, together with vice president of design, Mark Adams, the Insignia Grand Sport five-door sedan and the spacious Insignia Sports Tourer wagon. The whole press conference was broadcast via livestream and can be viewed at the GOMEX Newsroom media platform. 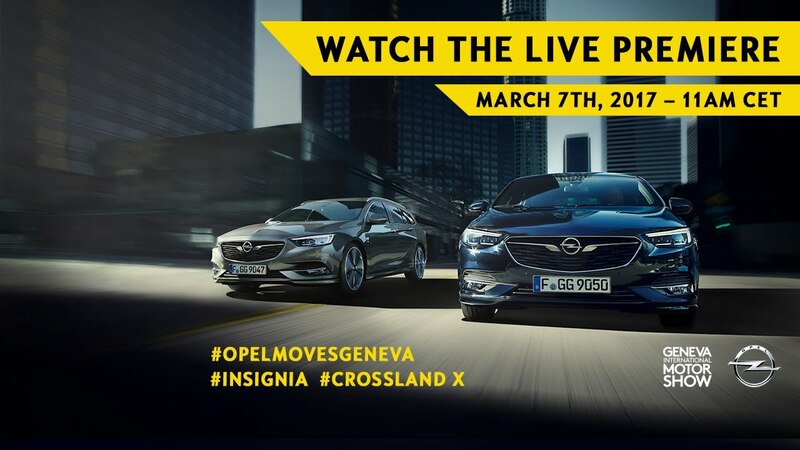 The full press kit about Opel’s news in Geneva is available at media.opel.com. Opel and PSA have already been working together closely for four years. In Geneva Dr. Neumann presented the stylish Opel Crossland X, the first successful result of the joint vehicle development. The Crossland X is the second member of the Opel family with the X in its name. While the popular Opel Mokka X is a typical SUV with the option of all-wheel drive for occasional trips off-road, the new Opel Crossland X with its compact exterior dimensions is designed for the urban lifestyle; it is also spacious and comfortable for the holidays. The driver and passengers enjoy the high seating positions typical of a SUV, in a body that is 16 centimeters shorter but 10 centimeters taller than that of the Astra. Opel’s new crossover model comes with ultra-modern technologies that make everyday life safer, simpler and more pleasant. Optional innovative full-LED headlamps, a head up display and the Panoramic Rear View Camera along with Advanced Park Assist, Lane Keep Assist, Speed Sign Recognition, Driver Drowsiness System and Side Blind Sport Alert are just some examples. Opel OnStar and the modern IntelliLink infotainment systems, which are, depending on the end device, compatible with Apple CarPlay and Android Auto, ensure outstanding digital connectivity. The all-new Opel Insignia is in extremely good shape. It has the sporty elegance of a large coupé, its completely new architecture makes it uncompromisingly spacious and truly fun to drive, and it offers exemplary safety and comfort features just as a true flagship should. Not only does the second generation Insignia impress with its breathtaking lines on the outside and its great wellness atmosphere on the inside, it also provides the widest range of intelligent technologies reaching from the trendsetting Opel IntelliLux LED® matrix headlights and the very sophisticated all-wheel drive system with torque vectoring to ultra-modern driver assistance systems and the refined head up display. The active aluminum hood for improved pedestrian protection rounds off the significant increase in safety. In addition, the Insignia comes with first-class connectivity with smartphone integration, which now offers a new Opel OnStar feature – the Personal Assistant. It allows Insignia occupants to book hotel rooms and search for suitable parking spots via an OnStar Advisor – indeed a real person and not a computer. A 360o degree camera, an eight-speed automatic transmission and intelligent all-wheel drive with torque vectoring (torque distribution to individual wheels) are available for the first time. Together with efficient new generation turbo engines, weight reduction of up to 200 kilograms (depending on the variant) and a lower seating position, the new Opel Insignia Grand Sport and Sports Tourer are more agile than ever before and give the driver a direct and rewarding driving experience.